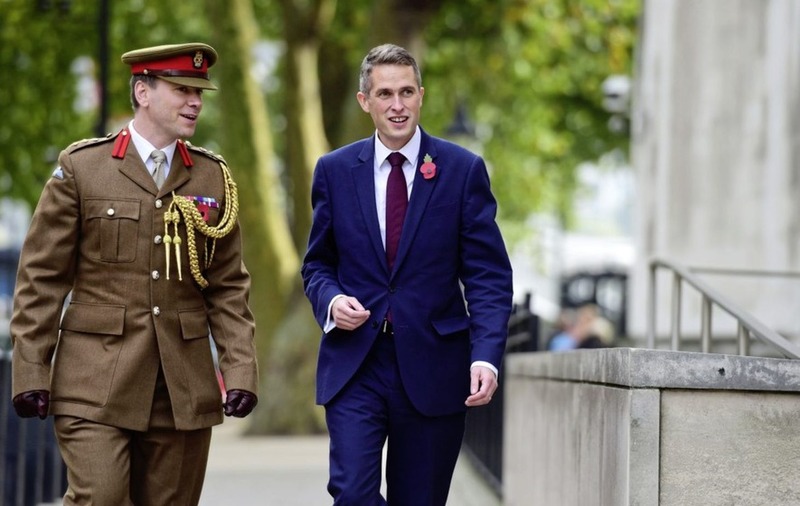 NEW Defence Secretary Gavin Williamson has said he is "both honoured and excited" by his promotion, following Sir Michael Fallon's resignation amid sleaze allegations. The former chief whip's appointment by Theresa May to one of the Cabinet's most senior posts provoked widespread surprise at Westminster, as he has never before held ministerial office. 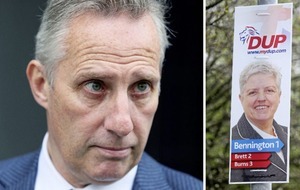 And there were signs of consternation in Conservative ranks, with some backbenchers suggesting that the 41-year-old South Staffordshire MP lacks experience and may have earned his meteoric rise by his staunch loyalty to the Prime Minister. One Tory former minister, who did not want to be named, said some of the party's MPs were in "head-in-hands despair" at Mr Williamson's "bizarre" appointment. "The feeling is it's just a move that demonstrates Theresa May's own weakness by allowing the guy who suggested to her that Fallon should go to take that job," the MP told the Press Association. "It's a bizarre appointment from somebody who's so shell-shocked she doesn't know which direction to turn in and so is listening to the person she just likes and trusts rather than having a view about it herself." And in an apparent reference to Mr Williamson's promotion, Tory MP Sarah Wollaston tweeted: "There are times when offered a job that it would be better to advise that another would be more experienced & suited to the role." 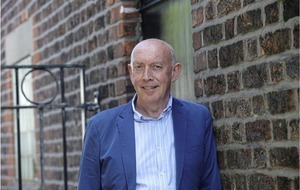 Sir Michael quit on Wednesday after admitting his behaviour had "fallen below the high standards required" in the role and acknowledging that what might have been acceptable in the past was no longer appropriate. He was one of the most senior ministers to be caught up in a wave of allegations of improper behaviour swirling around Westminster, after admitting putting his hand on the knee of radio presenter Julia Hartley-Brewer some years ago. Mr Williamson was replaced as chief whip by his former deputy Julian Smith, while Tatton MP Esther McVey - a former TV presenter who served as a minister in David Cameron's government - was made deputy chief whip. In a statement following his installation at the Ministry of Defence offices on Whitehall, Mr Williamson said he was "determined to ensure that the armed forces receive the recognition they deserve for the great work they do, including through the Armed Forces Covenant, and that they evolve both to meet the changing threats that we face and to ensure that they properly represent the modern society that they defend". Mrs May ignored questions about her domestic difficulties as she welcomed Israeli prime minister Benjamin Netanyahu to Number 10. The PM's official spokesman told reporters that Mr Williamson was not involved in discussions about the reshuffle following Sir Michael's resignation, as chief whips often are. 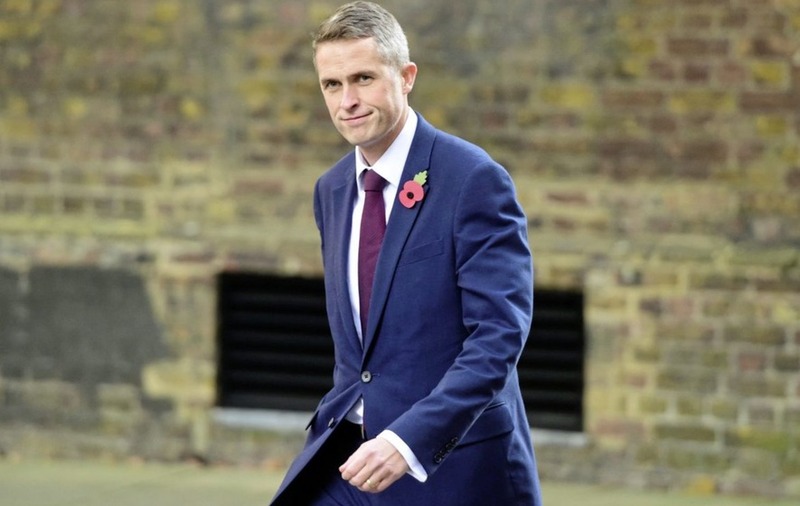 Asked what qualities Mrs May felt her new minister would bring to the job, the PM's spokesman said: "Gavin Williamson was an excellent and hard-working chief whip and the Prime Minister thinks he will make an excellent Defence Secretary. "The PM is confident in the operation of the whips' office during her premiership." The spokesman declined to say whether any further allegations about Sir Michael had been raised with the Prime Minister before his resignation, saying only that the former defence secretary had set out the reasons for his decision to resign in his letter on Wednesday to Mrs May. Asked if Sir Michael had set a new bar for behaviour requiring ministerial resignation, the spokesman said Mrs May took any allegations of misconduct "seriously" but stressed that complaints would be dealt with on a case-by-case basis. He added: "The Prime Minister was absolutely clear in the House of Commons yesterday that Westminster needs to be a place where everybody who works there feels they can do so safely and free from harassment and if they make complaints they will be taken seriously." 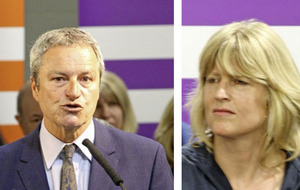 Her invitation to other party leaders to discuss a possible new grievance system showed that she accepted that there was "room for improvement" in the way complaints were dealt with, he said. Ms Wollaston told BBC Radio Four's World at One: "Gavin has been an extremely likeable and respected chief whip, but part of the role of being chief whip is to advise the Prime Minister on the most experienced and suitable person to take on such an important job as Secretary of State for Defence, and I think it would be worth reflecting whether there were others that were more experienced and suitable for that role." Asked if the post could have gone to a woman, Ms Wollaston said: "I think that it could have been a woman. We know that Penny Mordaunt would have been a very popular choice and very experienced and respected. And, likewise, Toby Ellwood. "But, these are decisions that are made through patronage, but, obviously, part of the role of the chief whip is to advise the Prime Minister about the suitability of a candidate." Tory MP and former army officer Bob Stewart said the armed forces would initially "reserve judgment" about the appointment. He told the BBC: "Yes, he won't know much about defence, but I believe the civil service in the Ministry of Defence, the generals, and the armed forces themselves won't mind that too much because he is the sort of person that will listen carefully, take advice, but then make his own decision. I think that's what we need. "A lot of them don't know much about defence when they start. They soon get up to speed." "This guy has got ability. Yup, he'll start slow, but he'll accelerate." Transport Secretary Chris Grayling said he regretted Sir Michael's decision to resign and said he would be missed in the cabinet. He denied his exit was evidence of the Government taking steps to "clean out the stables" - a phrase used by Scottish Tory leader Ruth Davidson in calling for widespread changes to the culture at Westminster. "I am very sorry to see Sir Michael Fallon step down from government, he's done a very good job as Defence Secretary, I think it is a great shame that he's been in the position where he has had to leave in these circumstances," Mr Grayling said. "I know Gavin Williamson will do a very good job in his place and the important thing is we get on with governing the country, taking us through the Brexit process and delivering our domestic agenda. "Yes, it's been a difficult week at Westminster but the government's job is to get on with the job." Mr Grayling was asked about the controversy on a visit to the Wrightbus factory in Ballymena, Co Antrim. "This is not about cleaning out stables," he said. "Actually I very much regret Michael Fallon's decision. Obviously in the current climate it is important to make sure that we have an environment at Westminster but across the whole country and internationally where women are treated with respect, where people are treated with respect - that's the right and proper thing." Asked if Sir Michael had done the right thing in resigning, Mr Grayling said: "It's very much a matter for him and his judgment." He added: "It is right and proper that we deal with the issues that have been in the headlines this week and make sure Westminster is a right and proper working environment."